Bangalore: The good cheer seems to be back for India’s wine makers, with the industry expecting a rise in sales in the peak months between October and March. Although sales declined in the first four-five months of the year beginning April, “the last two months have been superb", according to Rajeev Samant, chief executive of Nashik Vintners Pvt. Ltd, which owns the Sula brand of wines. The winery said it sold 30,000 cases of wine in October, up 50% from 20,000 cases sold last October. A case of wine contains 12 bottles. “The season is looking good," said Ranjit S. Chougule, managing director of Indage Vintners Ltd, which sells the Chateau Indage wines. Chougule is optimistic despite exiting the Delhi and Karnataka markets after mounting debts and financial troubles at his firm. Samant said his sales are growing faster than the industry due to the market share vacated by Chateau Indage. The peak season from October to March covers Dusshera, Diwali, Christmas and New Year, and ends with companies closing their fiscal year. 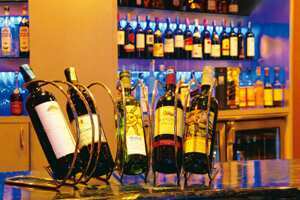 The period accounts for 60-70% of annual wine sales in India. The positive outlook has come as a relief to the wine-making industry, which was hit by a double whammy last festive season in the form of a global recession that crimped consumer spending and the 26 November terror attacks on the Mumbai’s iconic Taj Mahal Palace and Tower Hotel as well as the Trident-Oberoi hotel that left five-star hotels deserted in its wake. Hotels and restaurants account for a large segment of wine sales. Wine sales in the fiscal year ended 31 March contracted 1.6% to 1.525 million cases from 1.55 million cases a year ago, according to Alok Chandra, an independent wine consultant. Wineries are more confident now. With the economy hinting at a revival, and tourism and the hospitality business rebounding, wineries see a 10-20% increase in sales during the peak season. For fiscal 2009-10, they expect the wine market, which had been growing at 25% for four straight years before 2008-09, to post a modest single-digit rise. Chandra sees much of this year’s growth coming from cheap wines as consumers trade down. He expects the wine industry to grow at around 3% in the current fiscal year, to 1.575 million cases. Samant of Sula seconds the view. He sees a shift in the market: the Rs300-plus category of wines is flat; the Rs100-300 category is growing. Sula has two brands, Dia and Samara, which sell at below Rs300 a bottle. The company hopes to sell 40,000 cases of these inexpensive wines in this fiscal year, up from 10,000 cases sold in the previous year. Month-on-month, Samant said, Sula is seeing a 40-50% increase in volumes and a 30% rise in value over the previous year, indicating a shift to cheaper wines. Kapil Grover, director of Grover Vineyards Ltd, which has a vineyard near Nandi Hills in Karnataka, hopes to sell 100,000 cases in the current fiscal, at par with the winery’s pre-economic downturn levels. In 2008, the Mumbai-based company, with an eponymous brand, saw a halving of sales as it had been out of the market from June to December following a production issue that resulted in particles being suspended in the wine. Its monthly sales figures were not readily available, but Grover expects the industry’s festival sales to rise 15-20% over last year. The Indian arm of the world’s second largest liquor company, Pernod Ricard India Pvt. Ltd, shares that view. “Wine will grow between 10% and 15%," said a company spokesman, who cannot be identified because of company policy. In India, Pernod Ricard sells Seagrams Nine Hills, a domestic brand made in Nashik, and the imported Australian wine Jacob’s Creek. Besides a revival in the hospitality sector, Asif Adil, vice-chairman and chief executive of John Distilleries Ltd, which sells the Big Banyan and Goana wines, said he is seeing “an improvement in corporate enquiries for gifting" and is counting on “this year’s tourist season in Goa" as well.